Wedding DJ Showcase calendar. Planning a NY or NJ Wedding? Looking for the perfect NY & NJ Wedding DJ Showcase to help you make the decision of which one is right fit for you and will perform at your event? Dash of Class Entertainment showcases our professional disc jockey services often. 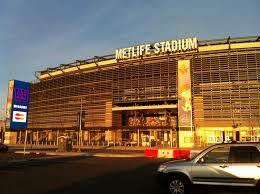 We perform at venues throughout the New York & New Jersey area to make it convenient for clients to see us in action. Click here to see performance calendar. Bring your fiance, family and friends as you will experience Dash Of Class Disc Jockey Entertainment LIVE as we showcase our various options to make your wedding dreams come true! These options include DJ/MC combinations and a medley of various music styles. Lighting effects that will enhance your venue and atmosphere with both Intelligent and LED Uplighting. We will describe and show the difference between the two and how it is used. Picture Montage ideas and concepts, along with digital snapshots. These will be displayed on HD Plasma screens and you will be able to see the way it will be presented at your event. Photo booth description of sizes, whats included and how to customize them. Live musician accompaniment like percussionists and saxophone players and how we will work them into your music program seamlessly. Experiencing our entertainment company at a bridal showcase will really give you the sense of how we would perform at your event. Dash of Class has been complimented on our showcase performances because they are packed with information and interaction that is crucial to help making your entertainment choice the right one. All of our partners not only take the stage but are available for one on one consultations to answer all of your questions. This is an open invitation and these events are free. Please join us for great prizes, giveaways, fashion show and also receive our DEMO CD, hope to see you there! NJ Wedding DJ Showcase and planning made easy for NJ brides with New Jersey’s best event specialists as we help you create your Dream Wedding Day! Meet us at the Southgate Manor in Freehold, NJ. on May 16th. Hosted by Elegant Bridal Productions you are in for a great night at our Bridal Showcase. Florists, Photographers, Videographers, Limos, Gowns for Mom’s and of course the Bride from, DJ Entertainment and much more! 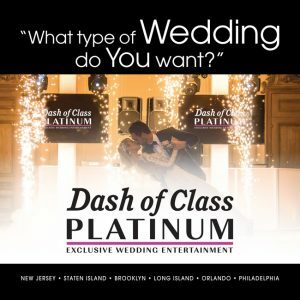 Bring your family and friends as you will experience Dash Of Class Platinum Entertainment LIVE as we showcase our various options to make your wedding dreams come true! Some of these options include DJ/MC combinations and a medley of various music styles. Lighting effects that will enhance your venue and atmosphere with both Intelligent and LED Uplighting. We will describe and show the difference between the two and how it is used. Picture Montage ideas and concepts, along with digital snapshots. These will be displayed on HD Plasma screens and you will be able to see the way it will be presented at your event. Photo booth description of sizes, whats included and how to customize them. Live musician accompaniment like percussionists and saxophone players and how we will work them into your music program seamlessly. Experiencing Dash of Class Platinum at our Wedding DJ Showcase will really give you the sense of how we would perform at your event. Dash of Class Platinum Entertainment has been complimented on our showcase performances because they are packed with information and interaction that is crucial to help making your entertainment choice the right one. All of our partners not only take the stage but are available for one on one consultations to answer all of your questions. This is an open invitation to all that live in and around the Old Bridge, Aberdeen, Manalapan, Marlboro, Colts Neck, Freehold and Staten Island area. Please join us for great prizes, giveaways, fashion show and also receive special showcase incentives, hope to see you there! Bridal Showcase at Imperia, planning made easy with New Jersey’s best event specialists as we help you create your Dream Wedding Day! On May 22nd come see us at The Imperia. Whether sophisticated or whimsical The Imperia, located in Somerset, New Jersey sets a new standard in elegance. Partner up with our team of professionals as we create a fabulous “experience” for your Wedding, Birthday, Sweet 16, Prom, B’nai Mitzvah, Anniversary or Special Event in Central NJ. With a unique blend of modern beauty, world-class cuisine and a professionally trained staff, The Imperia venue and banquet center is truly the ideal choice for a day you will hold in your heart forever. Bring your family and friends as you will experience Dash Of Class Platinum LIVE as we showcase our various options to make your wedding dreams come true! Some of these options include DJ/MC combinations and a medley of various music styles. Lighting effects that will enhance your venue and atmosphere with both Intelligent and LED Uplighting. We will describe and show the difference between the two and how it is used. Picture Montage ideas and concepts, along with digital snapshots. These will be displayed on HD Plasma screens and you will be able to see the way it will be presented at your event. Photo booth description of sizes, whats included and how to customize them. Live musician accompaniment like percussionists and saxophone players and how we will work them into your music program seamlessly. Experiencing our entertainment company at a bridal showcase will really give you the sense of how we would perform at your event. Dash of Class Platinum has been complimented on our showcase performances because they are packed with information and interaction that is crucial to help making your entertainment choice the right one. All of our partners not only take the stage but are available for one on one consultations to answer all of your questions. This is an open invitation to all that live in and around the Montclair area. Please join us for great prizes, giveaways, fashion show and also receive our free demo CD, hope to see you there! Meet us at our DJ Showcase on November 8th at The Vanderbilt at South Beach in Staten Island, NY. Hosted by the staff of The Vanderbilt, you are in for a great night. Come plan with Staten Island’s best event specialists as we help you create your Dream Wedding Day! Florists, Photographers, Videographers, Limos, Gowns for Mom’s and of course the Bride, DJ Entertainment and much more! Bring your family and friends as you will experience Dash Of Class | Platinum Entertainment LIVE as we showcase our various options to make your wedding dreams come true! Some of these options include DJ/MC combinations and a medley of various music styles. Lighting effects that will enhance your venue and atmosphere with both Intelligent and LED Uplighting. We will describe and show the difference between the two and how it is used. Picture Montage ideas and concepts, along with digital snapshots. These will be displayed on HD Plasma screens and you will be able to see the way it will be presented at your event. Photo booth description of sizes, whats included and how to customize them. Live musician accompaniment like percussionists and saxophone players and how we will work them into your music program seamlessly. Experiencing our entertainment company at a bridal showcase will really give you the sense of how we would perform at your event. Dash of Class has been complimented on our showcase performances because they are packed with information and interaction. Besides that it is crucial to help making your entertainment choice the right one. All of our partners not only take the stage but are available for one on one consultations to answer all of your questions. This is an open invitation to all that live in and around the Brooklyn, Queens, Long Island and Staten Island area. Please join us for great prizes, giveaways, fashion show and also receive our free demo CD, hope to see you there! Contact The Vanderbilt for more information and tickets. New Jersey’s Largest Wedding Expo! 100’s of Wedding Professionals to help you plan your perfect wedding! The biggest and best variety of choices from the tri-state area. A bridal show unlike any other in the Chase Club at Metlife Stadium, with spectacular views of the field. Bring your groom, family & friends for a night of wedding planning fun! At the show enter for Grand Prize vacation drawings & dozens of door prizes from vendors. Admission is free with pre registration. Shop everything you need for your wedding in one place, admission is free for bride and all guests. Attend this event to receive special show discounts, door prizes, giveaways & more! Two Grand Prize Honeymoon Giveaways! 7 Night 8 Day Luxury Hotel Accommodations – Featuring dozens of locations to choose from! Airfare and taxes not included.